We haven't quite dipped into the Ethernet over Powerline revolution yet, but this USB over Powerline seems to be the next step. 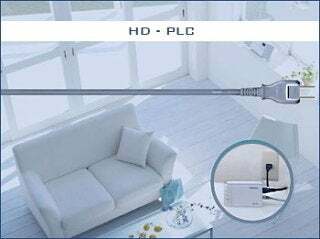 Icron's combining Panasonic's HD-PLC powerline tech with its ExtremeUSB to make a USB extender that works over your home's electrical system. Technically cool, but it's even cooler when you think about implications like hooking up your set-top box's USB port to your PC, or sharing a USB hard drive over the span of your entire house. What's also good is that Icron says there's no need for drivers on Win, Mac or Linux, but it only gets speeds of up to 190Mbps. That's a bit less than half of USB's 480Mbps max. Still, some connectivity is better than no connectivity.